T.I.T. Podcast Episode 59: Beware of Pink Bears! | "Tom in Thailand"
T.I.T. 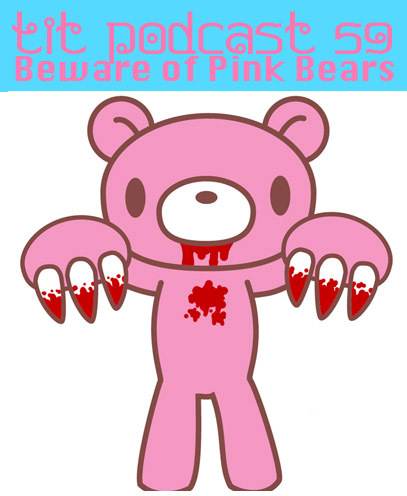 Podcast Episode 59: Beware of Pink Bears! this much rain and still not handle traffic?? Pics posted online already, so go be jealous! When does helping you become using me? Check me on the Facebooks!!! Lurve to all my listeners! This entry was posted in podcast, Random Thoughts, Self Analysis, Thailand and tagged Bangkok, education, gay, International schools, Law, lesbian, monsoon, queer, rainy season, teaching, Thailand, visas. Bookmark the permalink. Ahhh ok…..makes sense now Mark! 🙂 And definitely looks like a tasty bit of yummy. I’d like the fried version of it i think…will have to check that out next time i’m down towards Malaysia! So if you lose your job you have to leave the country in 24 hours? That owner was just playin you like a fiddle…that sucked. You had asked if the Thai food I ate on my birthday was pricey. In my opinion, yes!!! My meal was $12, and the portion was small. It was my favorite, pad kra prao…I wonder if it’s very different from how it would actually taste in Thailand? I love how you were saying Thai small talk centers around food…sounds like a good topic to me! Wow, what a crazy story about that low-down, shady headmistress. She reminds me of that evil lady professor from Harry Potter and the Order of the Phoenix.